Catherine Brownlee is a nominee for Canada's Top 100 Recruiter Awards 2018. Diversity involves change in the workplace, which is “directly tied to company culture and financial performance” (Ignatova, 2018, para. 7). It’s a no-brainer that to operate in the global economy, and cater to global audiences, then the company, too, needs to employ a culturally dynamic workforce that represents its customers. Interviews are changing (thank goodness!). The days of pointe blank Q&A and Behavior Descriptive Interviewing, are dying out. Interactive interviews, where employers are hiring and testing candidates before the candidate is chosen, are disrupting the game. Think about how much time and money that saves everyone involved! Data & AI You can’t mention data without AI. Real-time data analytics, and smart decision making with AI, allow HR and hiring managers to capitalize on information as its created. Just remember that decision-makers may also view your social media account(s), so you may want to exercise proactive self-censorship now! While we’re half-way through 2018, we eagerly wait for the release of LinkedIn’s 2019 top recruiting topics. However, the one tried and true aspect of employment with successful job seekers is networking. Networking Come to think of it, networking helps you connect and expand your network regardless of your job status. From experience, it’s hard to get a sense of who you are from a piece of paper. Job seekers need a competitive edge, and meeting face-to-face with decision-makers is imperative in staying relevant and top of mind. In fact, university courses are already teaching students about the importance of networking! 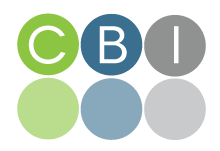 The perfect place to start networking is at the CBI social, the Gathering. This free event is held every two months at the Paper St Restaurant (Calgary), and attracts over 100 people from all industries, all levels, and puts you in the right place at the right time. The next Gathering is on September 14, 2018. Catherine Brownlee is a nominee for Canada's Top 100 Recruiter Awards and the President and CEO of CBI, where she brings over 30 years’ experience in executive search and development, marketing strategies and networking around the globe, across all sectors. Her database of over 85,000 contacts demonstrates her capacity to motivate, build and achieve results. Her forte is connecting people and organizations, while nurturing objectives and maintaining focus. She was recognized by her peers for this with an award for being among the top five Women of Influence in Calgary and a Paul Harris Award through the Rotary Club of Calgary. Catherine is the co-author of two bestsellers: Want to Work in Oil and Gas? (2007) and Cat’s Tips to Get The Job Of Your Dreams (2017). Catherine is a recognized expert and speaker; she developed and regularly presents career seminars for those looking to find the job of their dreams. Catherine also teaches her seminar content at SAIT and Mount Royal University.